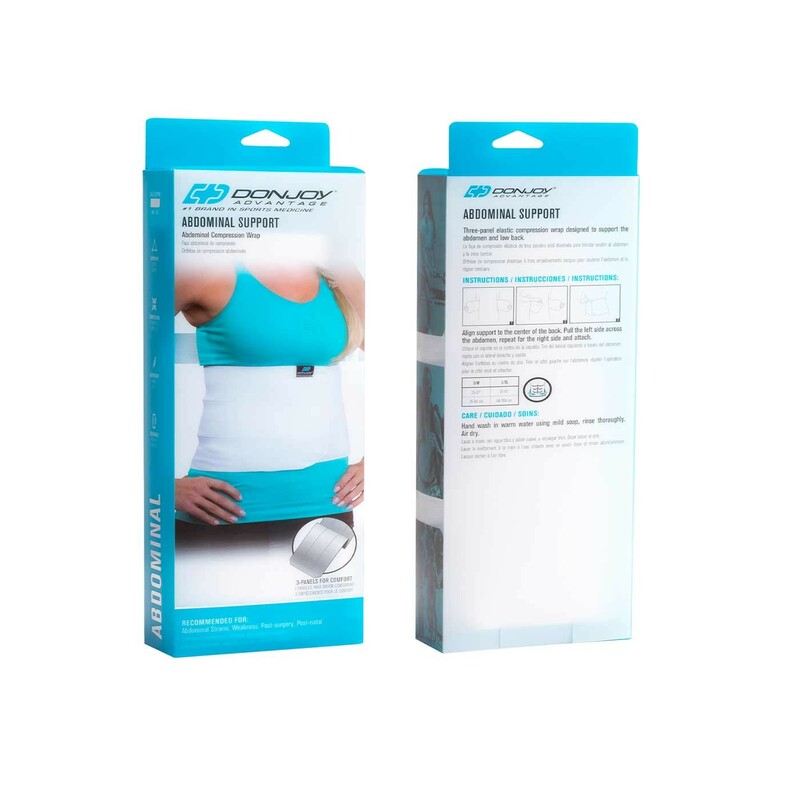 Compression wrap to support the abdomen and low back. 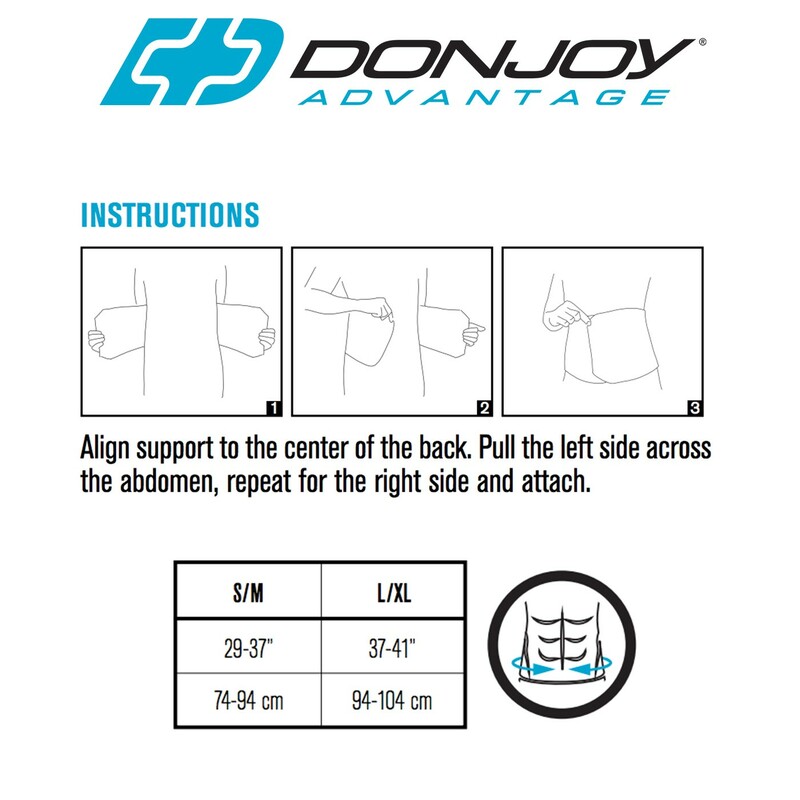 The DonJoy Advantage Abdominal Support is soft, three-panel elastic compression wrap designed to support the low back and abdomen associated to abdominal strains, weakness, post-surgery or post-natal. 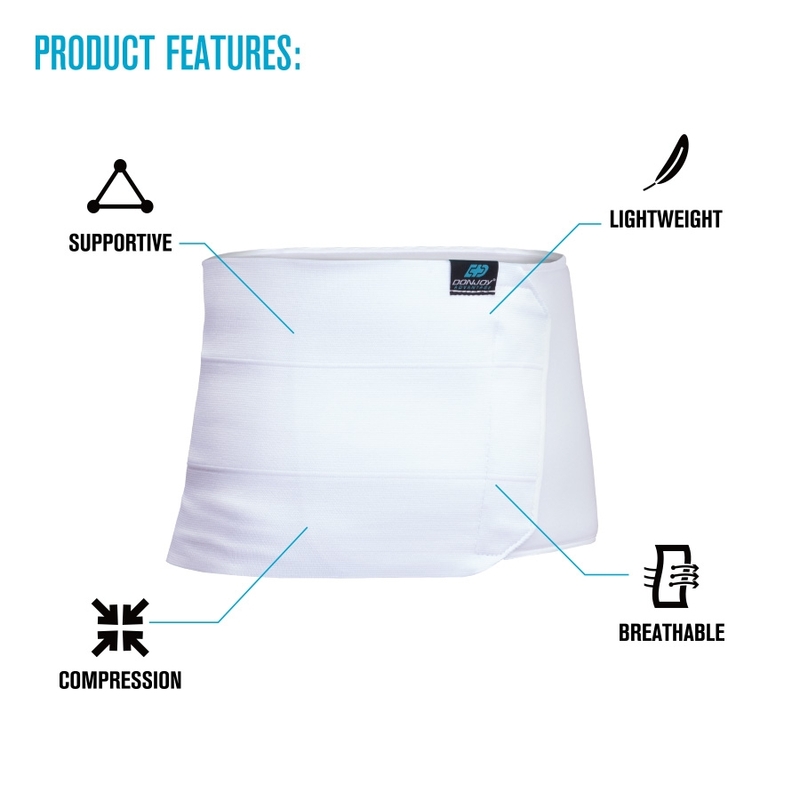 A low-profile design and easy to adjust, this abdominal support is comfortable and lightweight so you can wear it discreetly under clothing without worry of any bunching or discomfort. Size is based on your waist size. 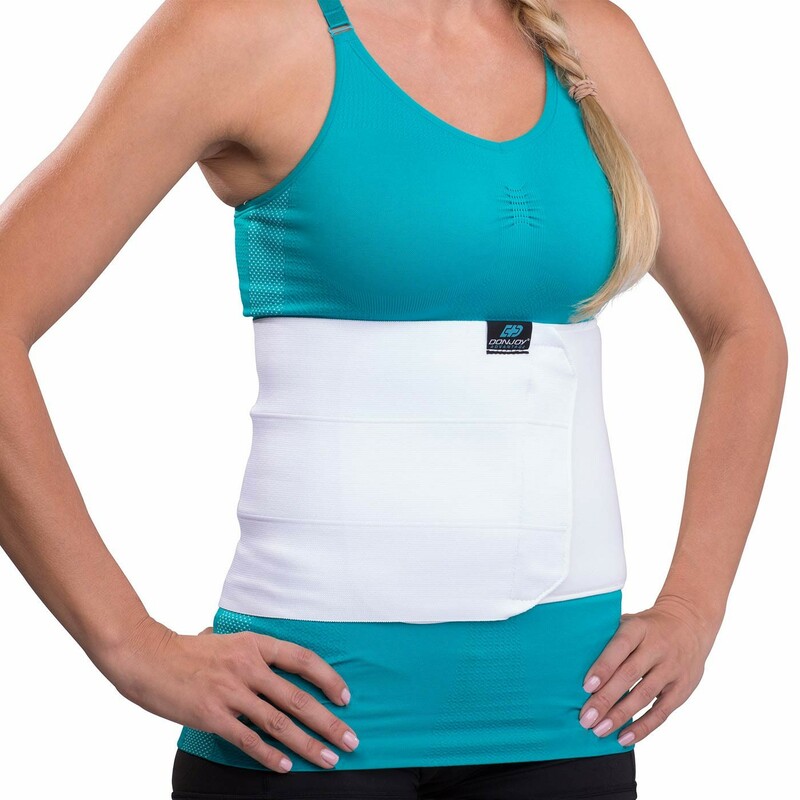 Measure around the center of your waist. Inches 29 - 37" 37 - 41"